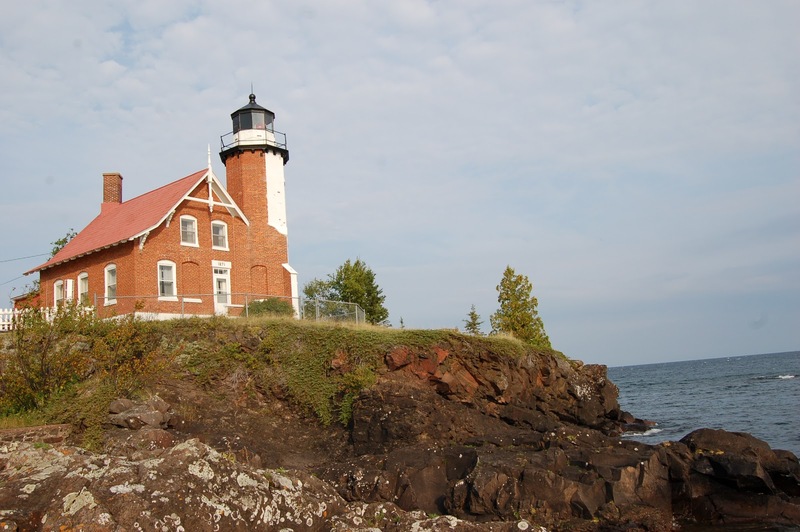 This brief tour will take a look at the lighthouses of the Keweenaw Peninsula that can be seen by land. Due to the close proximity, it would not be hard to reach all in a single day – but be mindful that the side trips out to McLain State Park and Jacobsville eat up quite a bit of time. 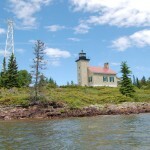 Other lights of the Keweenaw out in Lake Superior include Gull Rock Lighthouse, Manitou Island Light and the four lights around Isle Royale. 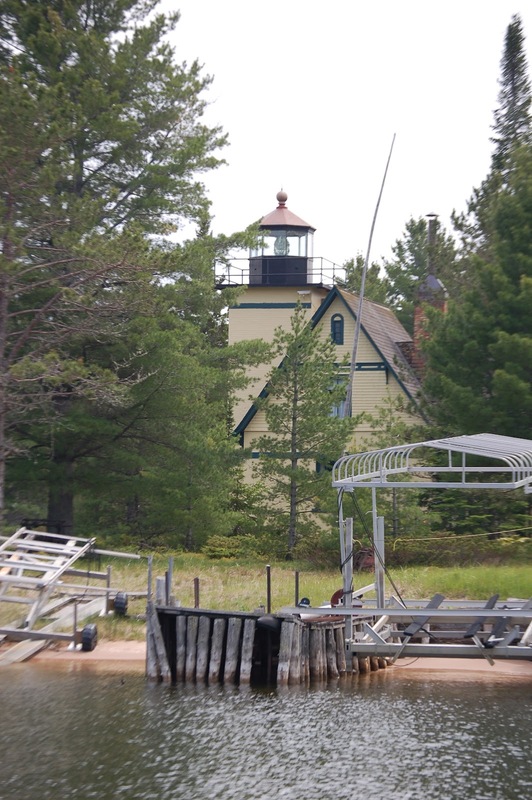 The 14 Mile Point Lighthouse (ruins) has not been included on this list either as it is private property and only available for viewing from the water. 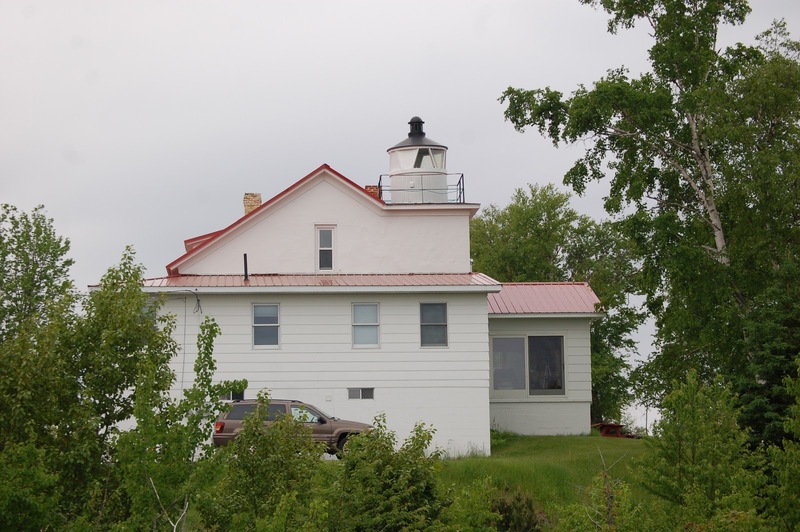 Featuring possibly the most unique lighthouse design in the entire state, the Sand Hills Lighthouse is now a privately run bed and breakfast. Hours for the general public to photograph and respectfully check out the grounds are posted near the entrance drive. 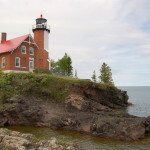 The 70 foot yellow tower rises above a three-story dwelling and its beacon once protected travelers from the rocky shoreline here between Ontonagon and Eagle River. 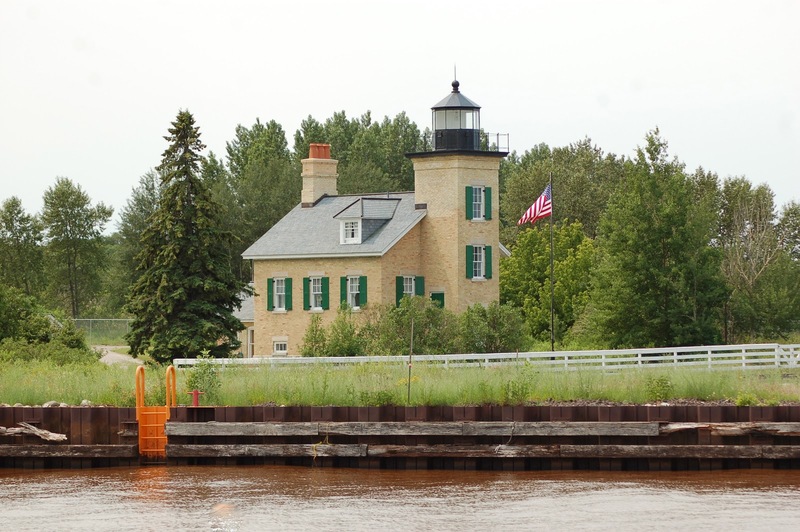 From US-41 in Ahmeek, take the first left – signed for Five Mile Point Rd., and follow signs out to the lighthouse. 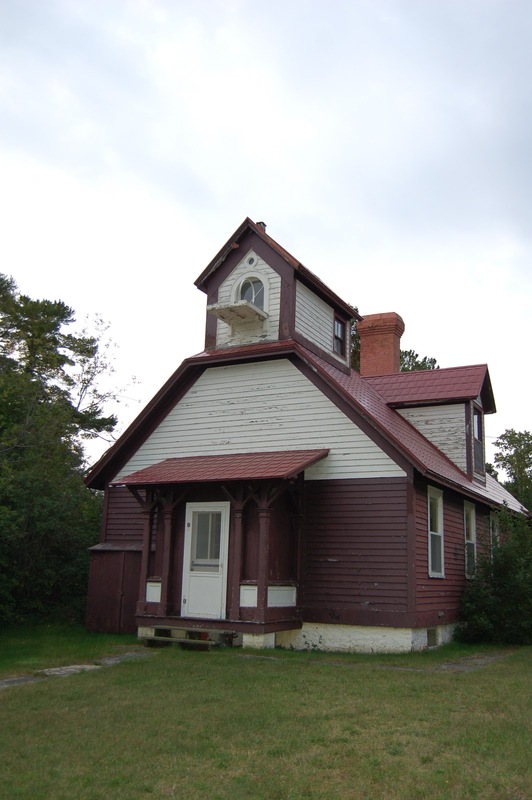 Not much remains today of the Eagle River Lighthouse, as its lantern room barely juts out above the house, the lone reminder of its glory days. No longer visible from the water, the best views of this light come from taking E Main to the left just after crossing the river, and viewing it from across near the old iron bridge. 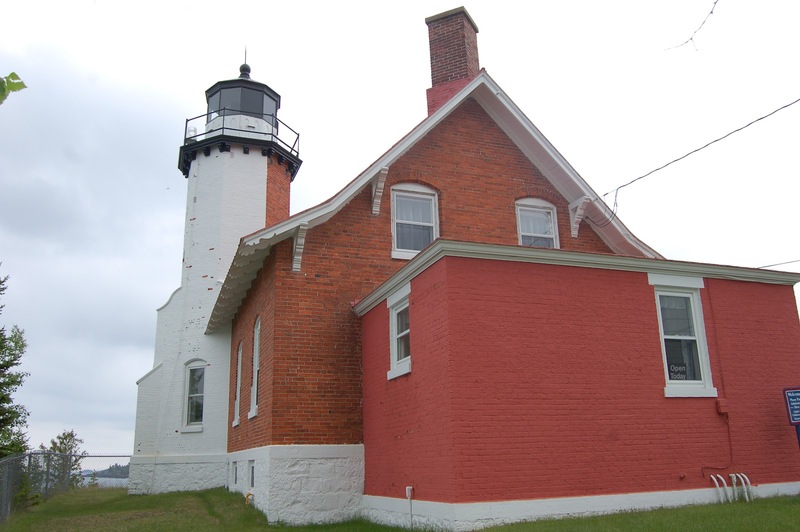 One of the most accessible and aesthetically pleasing lighthouses in the north, the Eagle Harbor Lighthouse leaves a lasting impression with its dual color brick tower and red beacon. 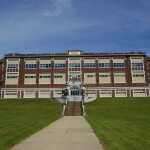 The facility is open as a museum and the tower can be climbed, see KHS site for prices and times. 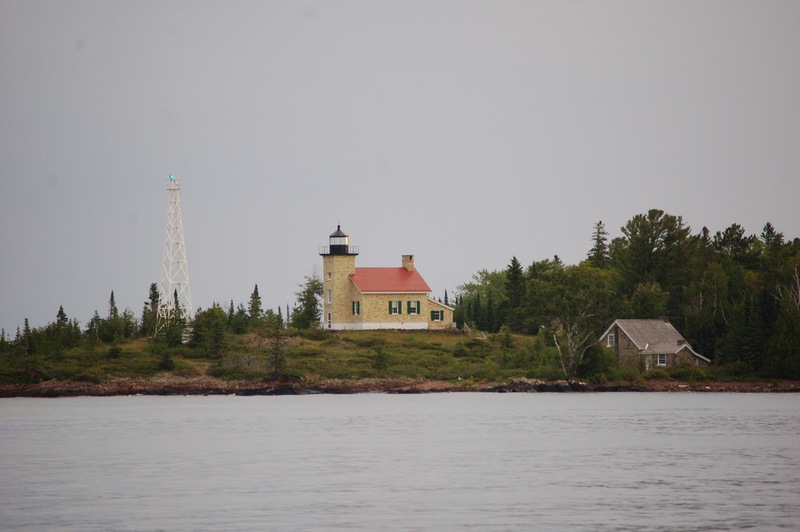 From M-26 in Eagle Harbor, follow signs to the lighthouse grounds, going straight when the main road takes a sharp right around the harbor. Range lights can be seen along M-26 on the opposite point. 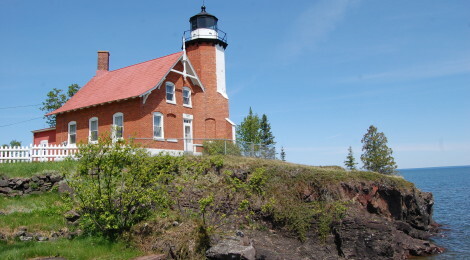 Located within Fort Wilkins State Park, this lighthouse was built at the height of the area’s copper rush to warn mariners of the approach to the harbor. 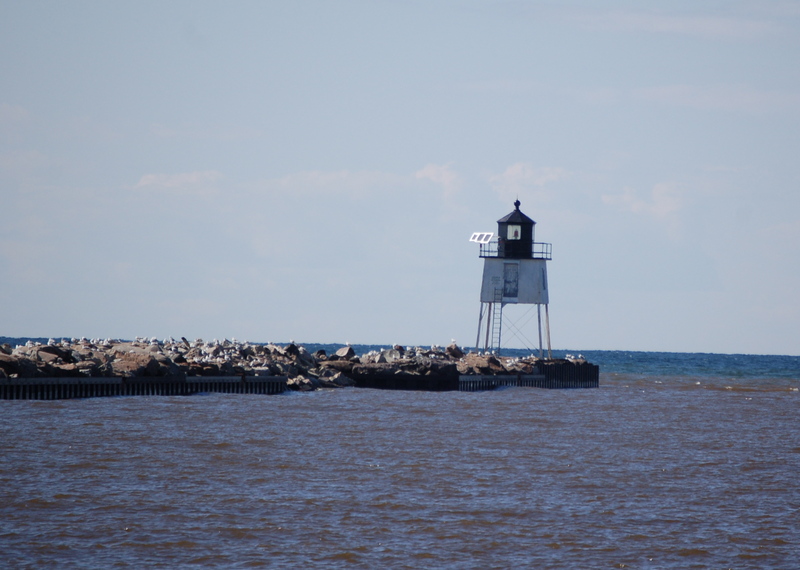 The yellow brick lighthouse can be seen from a viewing area across from the main fort foot traffic entrance off of M-26, and tours from in town take the short boat ride out for a closer view. 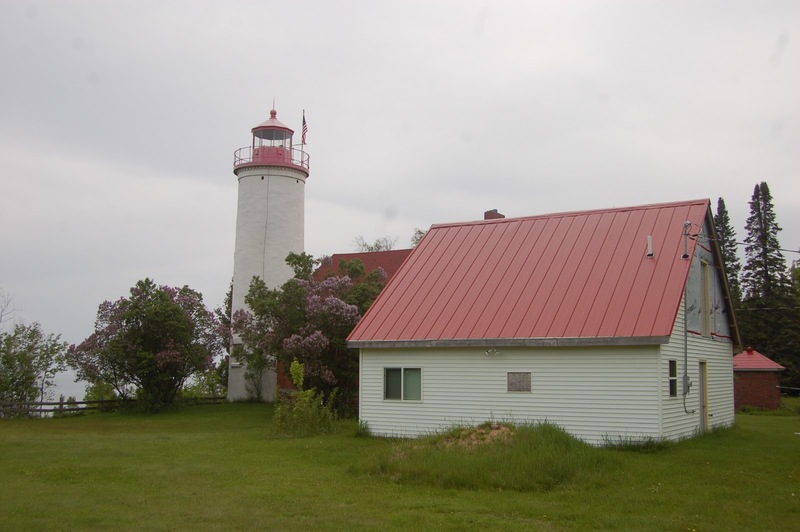 The range lights are the last drive on the left before crossing a small stream and reaching the viewing area for the lighthouse. 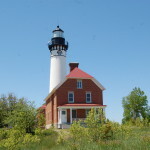 One of my favorite lighthouses in the U.P. this simple yellow and brown dwelling once lit the way through the Medota Ship Canal. Now it is a private residence and best viewed from across the canal in Lac LaBelle. From US-41 heading south from Copper Harbor, take Lac LaBelle Rd. east and follow signs for the canal, this is about a ten minute side trip. There is a small parking area, and the public is permitted access to the shoreline here. I love the quiet setting, nearby sandy beach, and opportunity for kayaking here in the canal. 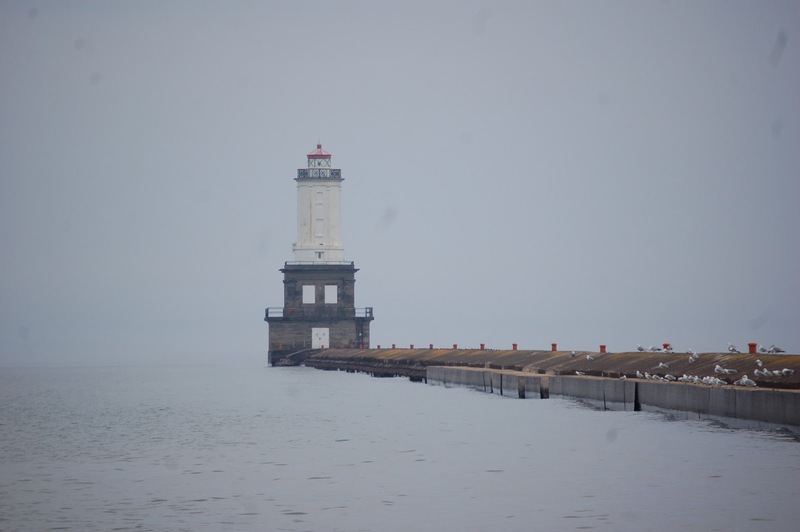 The only negative here is the difficulty in trying to get a full photo of the lighthouse without a tree blocking the view. 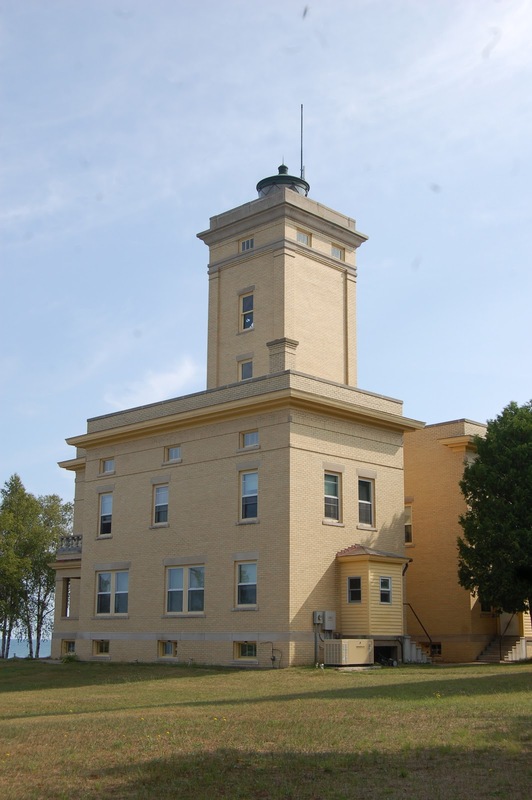 This lighthouse is now a bed and breakfast. Signs on the property have fees posted for everything from taking pictures to having your lighthouse passport stamped and more. The red-topped tower and adjacent house were no doubt once quite beautiful. When we were there in 2011 it appeared the property was in some disrepair, so it might be worthwhile to check out the website for the B&B or contact the owners before visiting if you’re coming from far away. 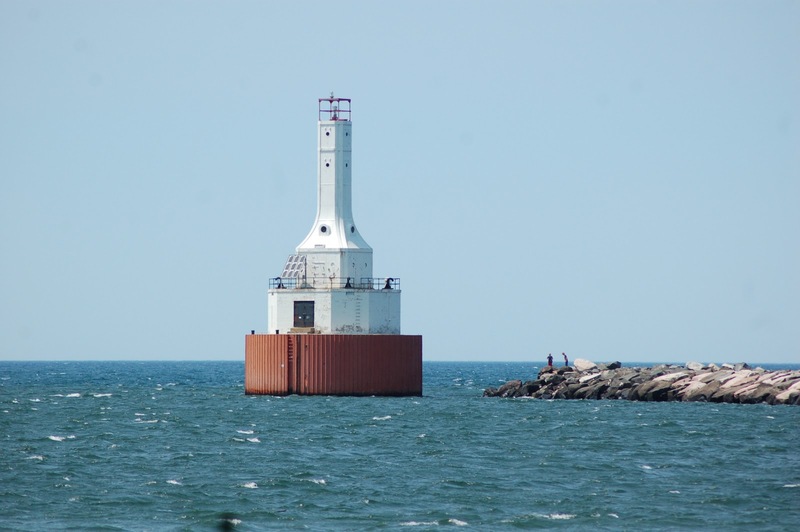 This simple entrance light guides boaters into the Portage River, and sits atop a stone base at the end of a breakwater. Its bright red top contrasts nicely with the white tower and some darker colors near the base, and there is a small park and beach open to the public here. From Lake Linden, take Jacobsville Rd. east becoming Bootjack Rd. and reaching a split at Dreamland Rd. (left fork of a Y intersection). As long as you’re on Bootjack or Jacobsville and following water or heading south, you’ll be fine. You will be on this road for almost ten miles, then at a T intersection take a right on a gravel road and follow it to its end. I recommend taking a look at the area on mapquest ahead of time to avoid confusion. Awesome post about the lighthouses! The Keweenaw is my favorite place in the whole world!